Multiple options exist for the collection of tramp oils. 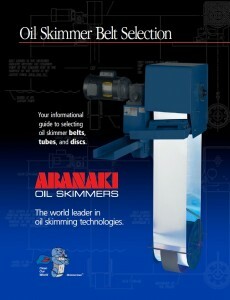 Two of the most common are oil skimmers and coalescers. Both offer unique advantages and disadvantages in certain applications. Recently John, an Abanaki sales rep, visited a customer that was in need of replacing some old components in its skimming operation. The facility uses the Model 8 oil skimmers on tanks that are 20 ft off of the ground. The skimmed hydrocarbons are drained in to an oil concentrator below. The oil concentrators at the facility are very old and don't preform like they have in previous years. 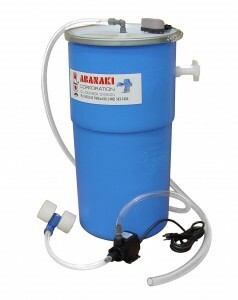 John suggested the company replace the older oil concentrators with Abanaki's OC200. New Cost-Effective LNAPL Remediation Technology! 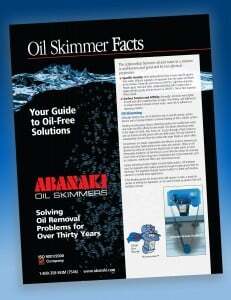 Have you heard about Abanaki's newest product the PetroXtractor Active Membrane Skimmer? This pneumatic active skimmer pump is entirely automatic and is designed to recover light non aqueous phase liquids (LNAPL) from underground water at depths of up to 130 feet. The PetroXtractor Active Membrane Skimmer is a combination of a pump and skimmer that fits inside a monitoring well, the only solution on the market to use a combination pump and skimmer technology. The unit features an advanced patented membrane that skims the light hydrocarbons and keeps water out of the recovered liquid, which lowers disposal costs. This selective membrane is designed to recover free floating hydrocarbons such as gasoline, diesel fuel, aviation fuel, and kerosene as well as other LNAPL from groundwater. 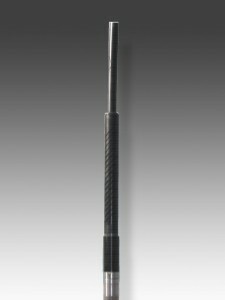 Unlike other groundwater remediation products, the unit is capable of far lower operation and maintenance costs. Equipped with a start/stop design, the pumps will automatically shut off when there is no recovered liquid present. The automatic shutoff feature eliminates the need for continuous air supply, which helps to preserve the life of the pump and lowers energy costs. This skimmer will lower energy costs, lower hydrocarbon disposal costs, effectively remove free floating hydrocarbons from groundwater, and maintain a long service life with little maintenance required.